If it were only Scriptural references (like those above), that Christians used to demonstrate its reliability, these critics might have a point … if critics of the Bible’s infallibility could only be refuted by faith (this would still be enough). However, there is much more clear evidence. There are approximately 27,000 copies of the original manuscripts of the New Testament (not 27,000 originals, but 27,000 copies of the originals) still existing to this day. 6,000 of those were written in Greek, which is the language that the New Testament was originally written in. The remaining 21,000 were written in various other languages. Yet, there is less than 1/2 of one percent of variation within them all combined (nothing lost in translation here). That tiny percentage of variation mainly consists of typos (the originals were indeed without error). Based on these manuscripts, as well as many secular writings, there is more evidence of the life, death and resurrection of Jesus Christ than any other figure in history. There is not even a close second! No one would ever dispute what is written about Plato or Confucius, yet there is (far) more evidence to support the life, death, and resurrection of Jesus Christ (His absolute deity) than both of those historical figures combined! Many skeptics claimed that the Bible had changed over the years. This was one of the biggest arguments made for many years, as the oldest manuscripts we had were only dated back to 900 AD. That is, until the Dead Sea Scrolls were uncovered. These scrolls contain portions of every Old Testament book, except for Esther, and have been dated as far back as 250 BC. Amazingly, nearly the entire book of Isaiah was preserved and the scrolls are dated at 150 BC. 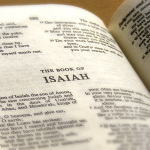 The book of Isaiah contains many very clear prophecies of Christ. This provides very strong evidence that Jesus Christ truly is who he said He is (the Messiah, God in the flesh), as Jesus of Nazareth was not yet born at the time that these scrolls were written. Yet, He fulfilled every Messianic prophecy in the book of Isaiah (and every other book of the Bible). The Biblical manuscripts of the Dead Sea Scrolls contain the same Word that we find in our modern-day Bibles. God’s Word has not changed. He has preserved it for us. Perhaps the most convincing proof of the reliability of the Bible is fulfilled prophecy. Over 2,000 Biblical prophecies have been fulfilled. Many of these prophecies are clearly supported by secular history. Not a single Biblical prophecy, that was prophesied to have happened by now, has failed to happen. For a list of many of these prophecies, click this link. If you are seriously seeking the truth about the accuracy and reliability of the Bible, I highly recommend you start looking into fulfilled prophecy. It is absolutely undeniable. The Bible also contains a number of amazing scientific facts. From the round earth in Job (the oldest book of the Bible) to the need of running water, rather than sitting water, to wash wounds, the Bible is packed full of scientific facts that were not found to be true until recent history. Many believers of evolution adamantly claim that evolution proves the Bible is wrong. However, when making that statement they, themselves, use circular reasoning. Darwinian (macro) evolution, which asserts that a race of monkeys eventually turned into a race of men, starts with a worldview that there was a big bang millions of years ago. Evolutionists reject the Bible from the beginning, claiming that it is not a reasonable explanation (not based on observable science, but based on their belief system). Evolutionists accuse Creationists of the exact thing that they do themselves. They exclude the Word of God from any “scientific” discussion since their believe system does not support it. So, with them it is not “We do not believe the Bible is true because the evidence does not support it.” It is rather “We do not believe the Bible is true because our belief in a big bang and evolution does not support it.” With that being said, you can see how any amount of evidence that the Bible provides is quickly ignored by evolutionists. It is ignored because the very foundation of their so-called “science” rejects the possibility of the Bible being true. They take their unobservable theories and force the observable into their unobservable theory rather than the opposite, which is true science and which confirms the Biblical account of creation. This is not science. This is circular reasoning, rooted in the false religion of humanism and pseudo-science. True science is based on observable evidence, not assumption, and observable science overwhelmingly supports the claims of the Bible. Any psychologist will tell you that many people will die for what they believe is true, but no one will die for what they know is a lie. The apostles who knew Jesus Christ in the flesh all died spreading the Gospel of Jesus Christ. Some of these apostles were present at His crucifixion. All saw Him with their very eyes and spoke with Him. All of them willingly risked their lives, and all but one eventually gave their lives, to BOLDLY proclaim exactly what the Bible tells us is true. We have several existing, secular (non-Christian) writings that make it clear that all but one of the apostles were killed for Christ’s sake. They believed with all of their hearts that Jesus Christ was God, that He died for their sins and ours, that He rose again, and that He literally and bodily ascended back into heaven. They knew Him. They saw Him die. They saw Him alive after the crucifixion and they saw Him ascend back to Heaven. Then they willingly gave their lives to spread the Good News that Jesus Christ came to die for all who will repent and believe the Gospel. The fulfilled prophecy alone would be enough for any serious, unbiased researcher to conclude that the Bible truly is reliable and accurate. Add the scientific evidence with many other aspects of the Bible (like the very specific names, locations and dates being confirmed by secular history, the undeniable, confirmed fact that all of the apostles believed so strongly that Jesus Christ was who He said He was that they gave their lives to spread the Gospel) and you have an undeniable case for the accuracy and reliability of the Bible. 1. God is perfect. He does not choose to be good, He is good by His very nature. It is who He is. 2. God created mankind to have an intimate relationship with Himself. However, forced companionship is not love. Can a robot love you? If He forced us to love Him, He would be a dictator and that wouldn’t be true love anyway. This is why He gives us free will. 3. We use our free will to sin against Him. We tell lies, we have impure sexual thoughts, we have hateful thoughts etc. Even if we stopped doing these things today (which isn’t possible) we would still be sinners. If someone murders at 18, is he still guilty of murder at 90? Yes. 4. The punishment for sin is eternal death, away from Him in hell. This may seem extreme, but God’s perfection is extreme to sinners, who are extremely imperfect. A perfect judge must sentence a criminal. If he did not, he would not be a perfect judge and would deserve punishment himself. 5. God Himself became flesh, in the person of Jesus Christ and died on a cross for the sins of the world. He rose from the dead, having conquered sin, death, hell, and the grave. Now, sinners can be saved! To be saved you must repent of your sin (turn away from it) and trust in Jesus Christ. This means you take God at His Word and agree, not just intellectually but in your heart also, that you are a sinner and that you deserve hell. Then trust in and rely on Jesus Christ as your only hope for salvation from God’s Holy wrath! When you truly repent (in your heart) and trust in Him (in your heart) you will be born again. You will be saved.